Gethsemane Christian Church in Rockford, Illinois, invites everyone to worship God and learn from his word. Join us for refreshing Bible study and worship services that are educational. Our pastor conducts the majority of worship services, Sunday school, and Wednesday Bible studies. The assistant minister leads worship services when our pastor is not available. Sunday worship starts at 11:00 a.m. Join us as we meet in the main room of the church for worship. Children's Church starts at 11:00 a.m. in the Fellowship Hall. The age group for Children's Church is 11 years and under. 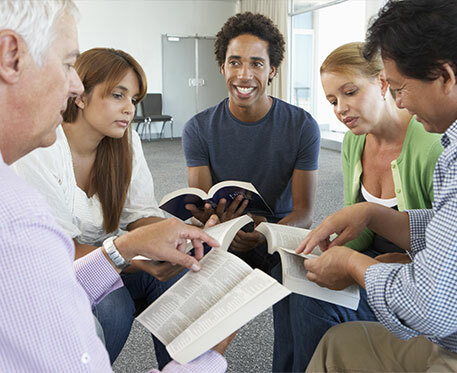 Wednesday evenings are for adult Bible study, from 6:00 p.m. to 7:30 p.m. The second and fourth Wednesday youth studies are offered. Youth consists of ages kindergarten to 12th grade. During Wednesday night youth Bible study, the participants are divided into their respective age groups, similar to Sunday school. Our church men gather every first Saturday of the month at noon for fellowship and Bible study. Our church women gather every third Sunday of the month, between 12:00 p.m. and 2:00 p.m., for fellowship and Bible study. The youth choir members meet every fourth Sunday at 1:00 p.m. The A Capella choir members meet every first and second Sunday at 1:00 p.m. The Mass choir members meet every second and fourth Saturday at 12:00 p.m.